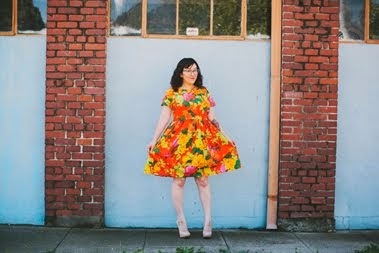 Let's talk sewing and then yoga, ok? I ordered this ITY knit from Girl Charlee not really 100% sure what I was going to end up with. Sometimes it's difficult for me to know whether fabric will work for a specific project without feeling it in person, but since I only needed a yard I figured that I could gamble on the $6.50 price tag. Good call on my part, it works. We'll see how it feels on my skin when I start sweating though. 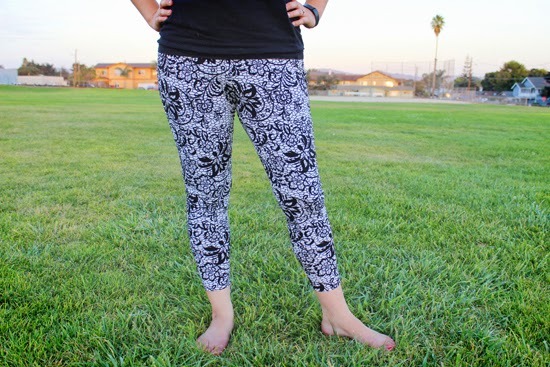 The pattern is McCall's M6360 , with options for shorts above the knee, at the knee, and below the knee. I made version E which was supposed to have zippers on the side, but I wasn't feeling those. I also wasn't feelin hemming either, so I have decided to call this length version, "shants." I'm into this length though, secretly I always have been. The pattern was superrrrr easy to sew up. It's rare, ok, it's never happened, where I can trace a pattern, cut out fabric, AND sew something completely in one evening. No adjustments were made since this is technically a wearable muslin, but I am happy with the outcome. Next time I will take in the waist a bit, as it is a little loose for my liking. Speaking of waist, these "shants" hit at the natural waist which is awesome. I hate low rise workout gear that I constantly have to adjust while switching yoga poses. The fabric is a little baggy on the back of my thighs, but I don't think it bothers me enough to try and fix. I'm not going to claim that I'm a yoga expert, or even that I'm good at it. I'm the girl in the back of the class struggling to hold poses and the only one who can't do crow pose. But at the end of the hour I am drenched in sweat and feel great. 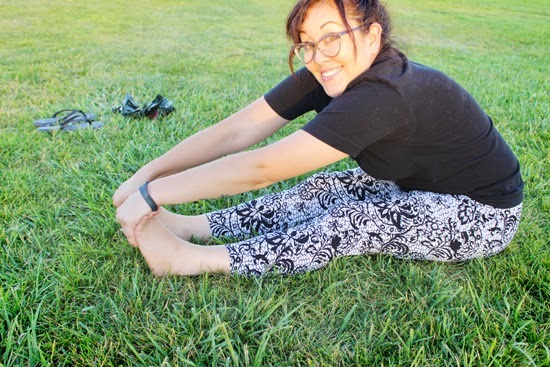 It's also been really cool to see myself make progress and become more flexible. 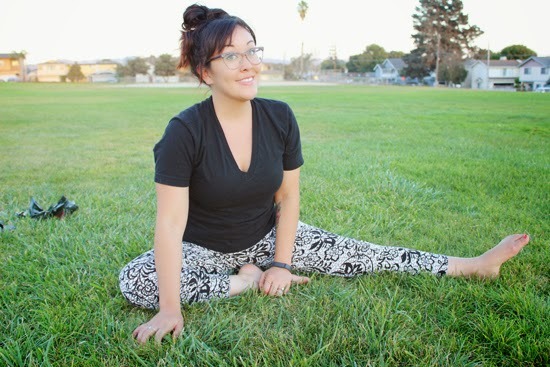 In my first class I could barely sit down with my legs in front of me and touch my toes, but now my wrists touch my toes! If you're in the area then I highly encourage you to attend one of Niccola's classes and if you're not in the area then I recommend checking out her food blog. She is the best instructor I've had and the ONLY one that my husband will take classes from. It's really hard to pull myself away from my sewing machine, but I'll do it for Niccola yoga :) What about you guys, do any of you do yoga? It's pretty fun making workout gear, I want to make more! Oh, and I need to announce the giveaway winner! It's Roxanne from Brand New Old - Fashioned. Congrats, Roxanne. I'm e-mailing you now! Niccola Nelson is just right - why to make black if you can have such nice leggings. Crow pose is my arch enemy in yoga! How do people do that without snapping their wrists?! I really need to start going back to yoga, it's so relaxing. These are super cute and so much better than plain black! You look pretty good at yoga to me. I haven't done yoga for a while but I really need to get back on the wagon - it always makes me feel so good! Glad you found an instructor that you really like! So impressed with your poses! These are so great and well dobe for doing yoga. I'm ashamed to admit I don't exercise. Lol! 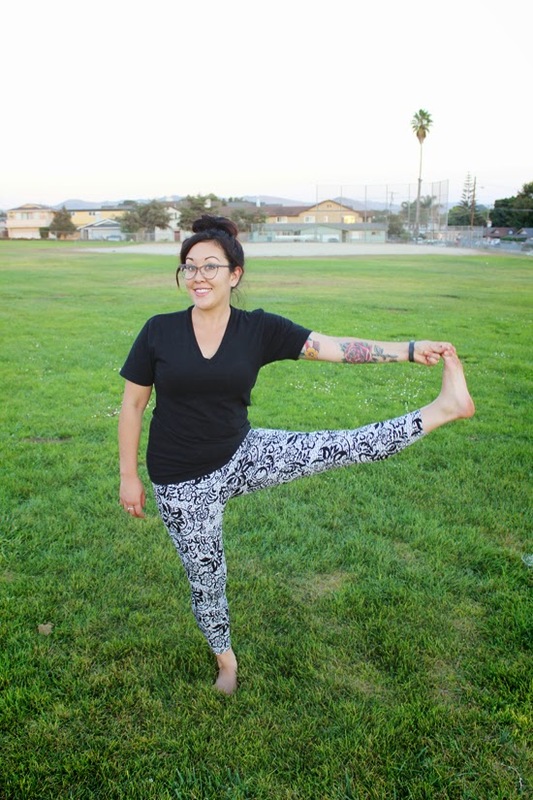 Yay for yoga and love the pants! Yay!! I want a pair! Niccola is a client of mine! I should take a class!!! ps love the yoga pose photos! I had a gift card for a really nice yoga studio here and I dragged my friend with me for a month. While I really like that I increased flexibility a bit, and I LOOOOOVED my warm restorative yin class (a.k.a. sleepy time class), I felt like this: http://themetapicture.com/tin-man-yoga/ in almost every Hatha class. And it hurt my hips like heck. I'm an old lady basically. Hahaha love the yoga pants though! I might have to make a few just for housework.